Our commitment to quality means more than just the work at hand – we make sure that our workforce can get the job done safely in any environment. 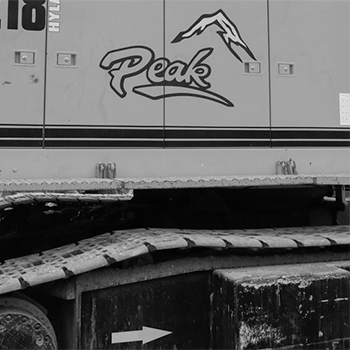 Peak Oilfield Service Company’s priority is to protect the health and safety of each team member, the environment we operate in, and all the stakeholders engaged in our operations. We are committed to creating a culture that emphasizes personal safety, environmental protection, quality, and compliance. We will endeavor to always improve by being an organization that learns, grows, and adapts. We will strive to achieve a zero incident culture that protects our team from harm, minimizes risk, eliminates environmental damage, and operates with excellence. Engage frequently as leaders to drive constant vigilance in Health, Safety and Environment. Strive to achieve a Zero Incident Culture. Work safely as an expectation and condition of employment. Understand that each person is responsible for the safety of those around them. Uphold the expectations and requirements of the Peak HSE Management System. Meet and exceed customer driven requirements and expectations. Protect our team members and the environment from harm or hazard through diligent adherence to Policies, Processes, and Best Practices. Actively audit, develop, and revise to continually improve. Set ambitious HSE performance goals, track results effectively, assess performance, and constantly progress as individuals and as an organization. Have honest, transparent, and respectful conversations that facilitate continuous improvement and accountability. Create a culture of open communication where all employees can speak openly and without concern of retaliation. This policy will be reviewed regularly to ensure applicability and sustainability. Peak’s success relies on the commitment of each team member to this policy, as well as our fundamental duty to comply with Peak’s Standards and all laws and regulations. This can only be achieved through every team member’s commitment and dedication to creating and continuously improving a safe work environment.